If you've been looking for a way to save money AND have some polar express FUN, this is the download for you. 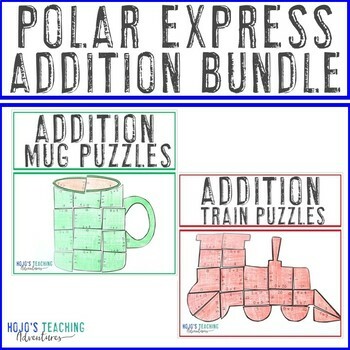 You'll get both my addition hot chocolate mug and train math puzzles. These are sure to be a hit with your 1st, 2nd, or 3rd grade students. • a fun Polar Express activity for your book reading enjoyment!